I was wondering if anyone could provide any tips or guidance when it comes to 3d printing tubes with supports. When designing the tubes, I quickly realized that they would have to print with supports inside them. 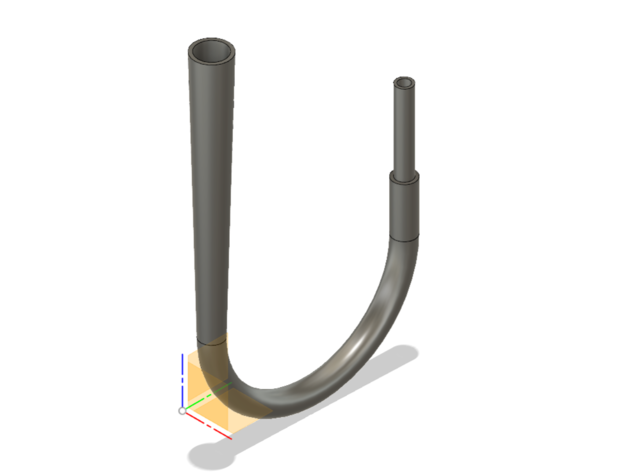 I understand that it is easy to print tubes without supports if they are just straight, but if the tube includes curves, bends, twists, etc., how exactly would you remove them? Supports would need to be created inside the tube toward the bottom, but how could I remove them once the print is completed? Sorry for the late reply. I don't have a dual extrusion printer, so that can't be an option for me. It would also be a pain to go back into the model and change all of my tubes into a different shape, but I will consider it. Any more ideas? All I've been able to think of was maybe creating some kind of tool that can reach in the tube and remove the supports. You could try printing a short, straight section of a round tube sideways, for test. Print rather cold, and with max fan, or even with an additional desktop fan in front for fast cooling. The roof-section of the inside might look a bit like it has grapes hanging from the ceiling, but the canals should stay open. Try the concept on a short straight test piece first, to see how much the inner roof sags, and if this is still acceptable for you. 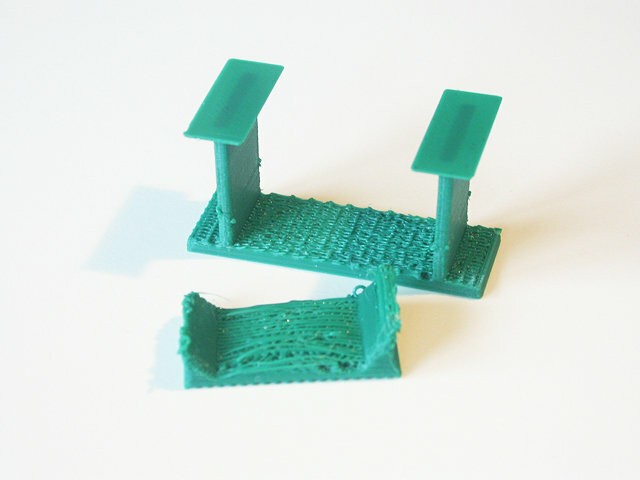 PLA can usually bridge gaps quite well. This is a test of a table model, with custom support structure. 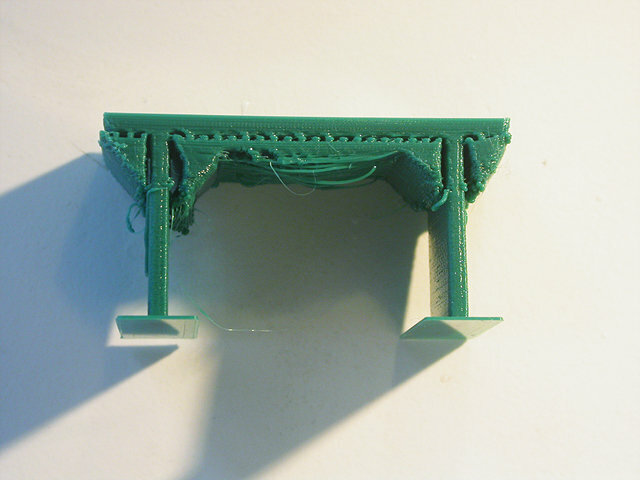 At the underside of the support structure, you see how much it sagged. The middle section overhang is 30mm long. But you can do better by printing colder. So, if such an amount of sagging would still be acceptable to you, you can print it without internal supports. The external part will need supports and good brim, otherwise it will fall over while printing. 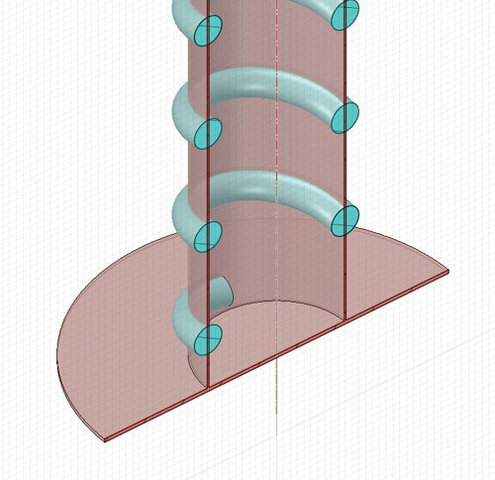 So you might consider some support structure similar to the pink support in the blue spring, and then cut that out later.